Quaking Aspen | Henry Field's Seed & Nursery Co.
High winds and freezing temperatures don't faze this Rocky Mountain native. The slightest breeze sets the foliage aflutter—green in summer, pretty gold in fall. Pure white bark. 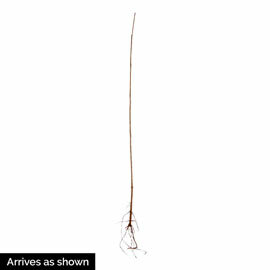 Grows 30-40 ft. tall. Bareroot. Zones 2-8. Height 30 - 40 feet. 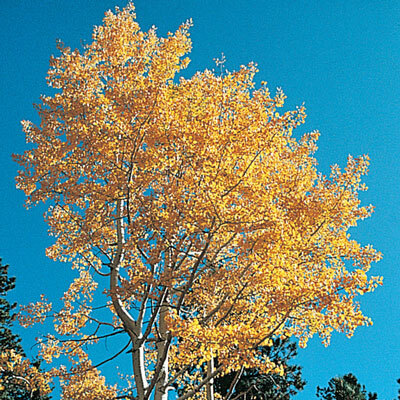 Foliage: Light green foliage, turning to yellow or orange in Fall. Flower Form: Not showy (catkins). Soil Requirements: Moist, well-drained soil, but very adaptable. Growth Rate: Medium growth rate. 1.5 - 2 feet per year. Pruning: Prune dead and damaged branches anytime.